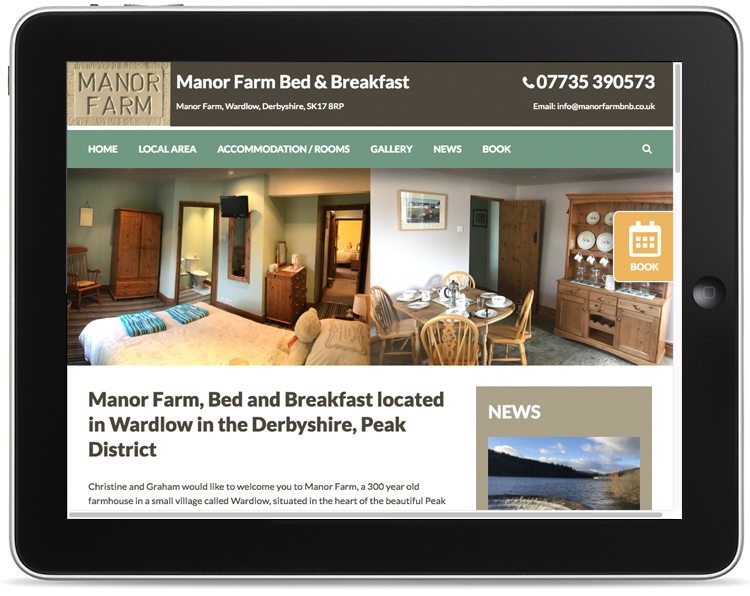 Having created a wealth of websites for local businesses, we were approached to design and build a site for a brand new bed and breakfast in Wardlow, near Tideswell in the White Peak. All our WordPress websites have a built in content management built in, so our clients can update text, images, prices, news etc. They also are mobile-friendly and are designed to be responsive ie resize to suit the viewers device. We also include and SEO plug-in so our clients can easily optimise their pages for Search Engines such as Google, Yahoo, Bing etc. 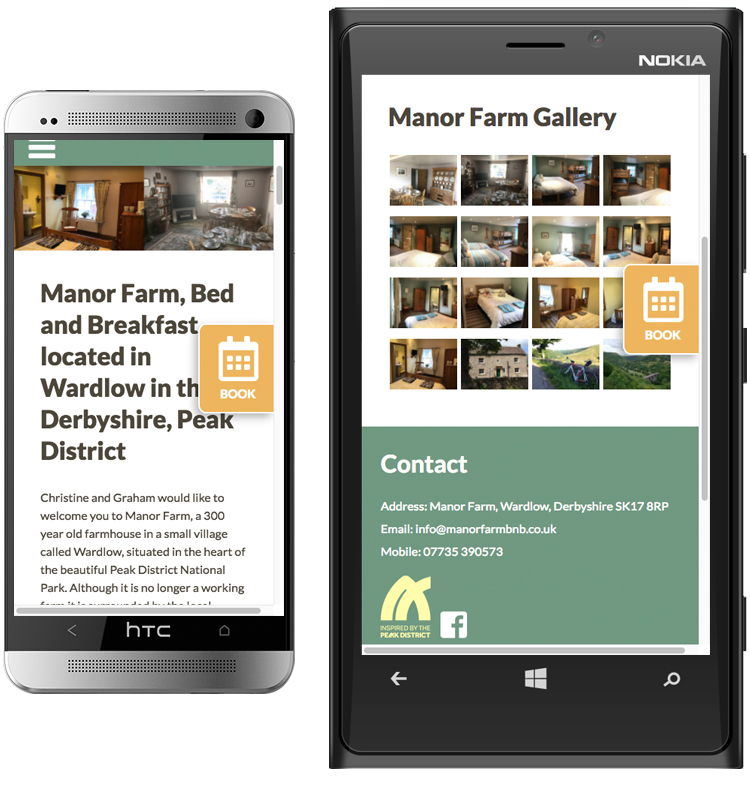 If you need a responsive website for your business or service, call the experts Andrew Burdett Design on 01433 208307. The Peak District’s longest established design company. 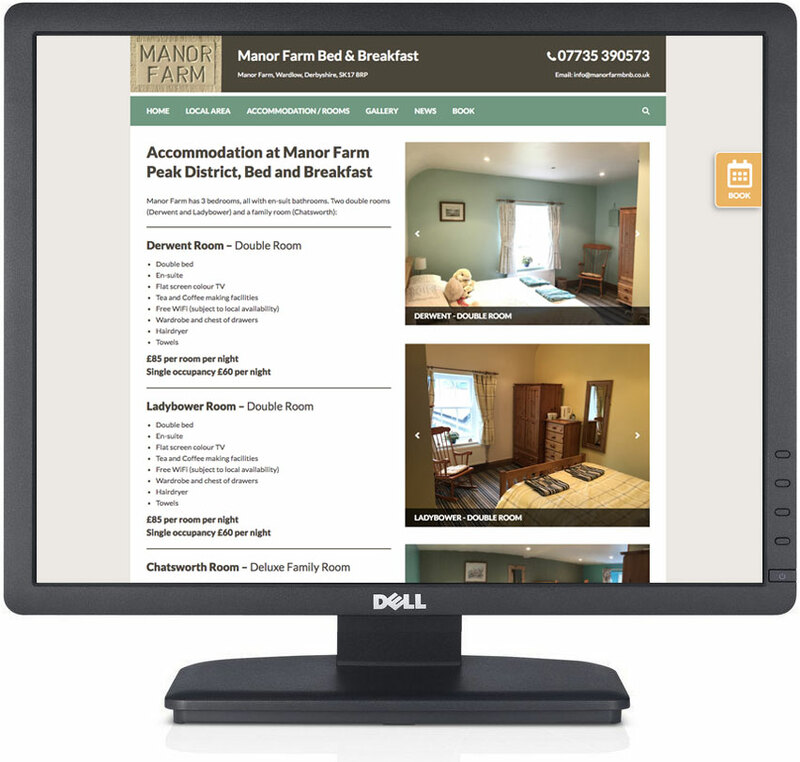 The bed and breakfast WordPress website as seen on a desktop computer. All the sites we design and build are responsive and mobile friendly.